Some piano pieces I want to play also include guitar instructions, with tab images and chord letters above the grand staff. I am trying to tell if the chord instructions only apply to guitar, or if I have to follow them for piano, also? 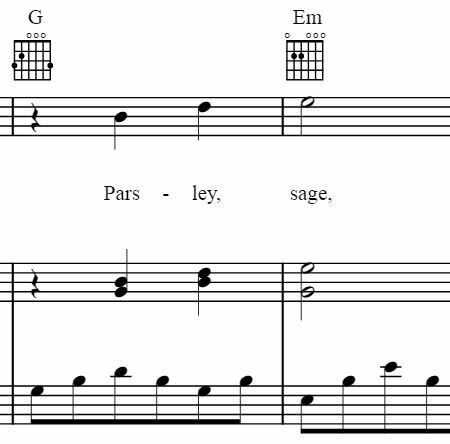 I am including an image of how this applies to the Scarborough Fair sheet music. In it, you can see that there are chord instructions for G and Em chords, but I don't know if they have to be followed for piano in addition to guitar. It's not that you have to follow them. As a pianist you could just ignore them. But if you play the notes written on the staff you'll be playing those chords anyway. So in the first measure there's a G chord diagram for a guitar. And the notes in the staff all outline a G chord as well. Though yes, those diagrams are meant for guitarists usually because for pop songs like this it may be more stylistically and ergonomically appropriate for a guitarist to strum a chord rather than play the separate bass and chord parts as written for piano. If you wanted to, you could use the name above the diagram as hint for what chord you're playing. Or you could use it the way a guitarist would and make up your own comping rhythm using that chord. Or ignore it, your choice. If you only have the upper line (like a fake book would have), you play the melody in the right hand (usually) and the chords in the left hand. The style of chord (oom-pah or block chords or Alberti Bass or come combination) is up to you. It should follow the style of the song. You may have to use some inversions in the chords (mostly first inversions) to create a good bass line. The bass line should make adequate (hard to be good or great) with the melody. It's also possible to add a harmony to the melody if it sounds good. It's tricky to do this while sight reading but not to hard if you practice a piece a couple of times. Based on the incomplete view of the sheet music, I think you should follow the 2 bottom staffs for piano/keyboard instead. It includes melody on the right hand and accompanying chord on the left hand (in arpeggio style). But to answer the asked question directly: well, you can try to improvise with shown chord, not strictly following it. But the chord gives a hint what to play according to how the music supposed to be played. They don't have to be followed, because they're there specifically for any guitarist. Having said that, the staves you play written out just for the piano (and vox) will reflect the chords shown in the boxes. Some piano players will use the chord names (not the windows, obviously) in order to use their clues to produce their own, usually left hand, accompaniment. Incidentally, the boxes/windows showing the chord shapes for guitar generally show the basic chord shape, which beginner guitarists will be more familiar with. They are not sacrosanct, and most guitarists will read the chord names and play their own voicings of those chords. As in - don't bother to try playing the exact chord notes shown in the window on the piano, it's just not necessary - although it can work. Not the answer you're looking for? 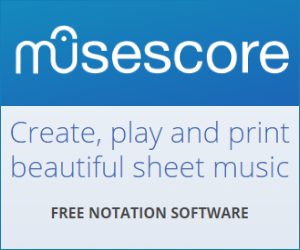 Browse other questions tagged piano chords sheet-music or ask your own question. Is it Necessary to Follow Chord Instruction Above Grand Staff (Piano)?